7 responses to "We are the 1%"
We’re the winners in both space and time. Space because we happen to live in the Western and Northern Hemisphere. In time because we are privy to miracles our Grandparents could not have imagined, and which our Grand children may never experience. Utter uber fooking jackpot. I suppose we should enjoy the view while we’re here at the toppest top. It had to be said… and well said it was. Objectively you are right in a sense, but I don’t think you’re being fair. 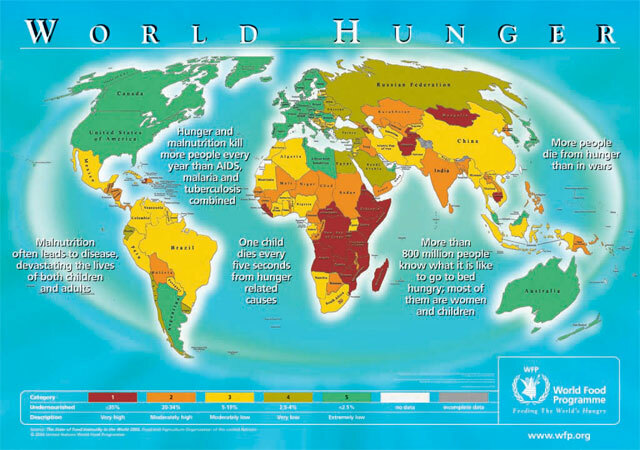 People simply do not have the information or capacity to appreciate the scale of poverty on a global scale. The poverty is hidden from most of them, and when it is presented it is as ‘outside’ of capitalism, and only fleetingly and soon forgotten. You also focus on consumption, ignoring work/general happiness. These have been stagnant in most western countries for a few decades. Overall, given that Egyptian protesters expressed signs of solidarity with OWS, I don’t think the 99% slogan is deemed inappropriate or objectionable by the ‘global’ 99%. After all, both domestic and international disparities are created by the same system. Thanks for stopping by, UnlearningEcon. I suspect that we probably agree on much more than we disagree (based on a brief scan of your website) and I’m aware that my post comes across as fairly confrontational, but it’s really not meant to be. Which is why I tried to make it very clear that my problem was with the slogan; certainly not the movement. People simply do not have the information or capacity to appreciate the scale of poverty on a global scale. The poverty is hidden from most of them, and when it is presented it is as ‘outside’ of capitalism, and only fleetingly and soon forgotten. But that was the very point I was trying to make (perhaps clumsily). That the people protesting the inequality in western societies – an inequality I abhor and spend a lot of time criticising – seem oblivious to the fact that there is a far greater inequality (the information is available, and I think we do have the capacity… we’ve just been trained to ignore, and that frustrates me). I’m not saying that we need to forget the inequality on our doorstep until we’ve solved that greater problem; indeed such a strategy would probably be a bad idea for a number of reasons; just that the slogan that has been chosen to tackle the lesser inequality is, in a sense, actively obscuring the greater one. As such, I find it a tad distasteful. Well, yes, I do focus on consumption. Indeed it’s very much my primary concern here at The Quiet Road. Which is not to say I ignore everything else (I certainly hope not!) but I honestly believe that western over-consumption is very much at the root of our malaise… it is the central problem of our time. I happen to believe (and here I don my psychoanalyst hat) that over-consumption is intrinsically linked to unhappiness – though that’s a tangent I’ll avoid for now if that’s OK – and that the “work” issue isn’t as significant as it’s made out to be. This is because work is also actually a form of consumption (of energy) and I would like to see work minimised as opposed to maximised. Yes, that would require a massive reconfiguration of how our society operates, including the wholesale abandonment of free market capitalism. But as I’ve said elsewhere, if I have a problem with the Occupy Movement (other than the slogan) it’s the fact that it’s not nearly radical enough. I completely agree with your last line. I’m not sure the solidarity of the Egyptian protesters justifies the use of the slogan however. There is certainly an aspect of “the enemy of my enemy is my friend” in that solidarity, but a more thorough analysis of the two situations reveals the uncomfortable fact that the lifestyle that the western Occupy Movement is protesting to protect, is the very lifestyle that has supported oppression and deprivation around the world. I actually wrote several more paragraphs but they became increasingly “rant like”, as is often the case when you just let the words flow on a subject that makes you angry or frustrated (in this case, the policies of western governments and the tacit approval of their populations in return for bread and circuses). But as I said at the start, I really don’t think we’re on opposite sides of this debate. I dislike the slogan because I feel it undermines certain aspects of the message of the Occupy Movement. And I don’t think the movement itself is radical enough. But I do think it’s better than doing nothing. I do think it’s a step forward, even if it’s not a great leap. I do think it has the potential to evolve in the right direction. And I certainly do support it in principle. And I hope whatever criticism I might have is taken in that spirit… I’m not looking to attack Occupy. But that slogan still annoys me! And I couldn’t agree more, Paul. I just found this article now and I’m with you. It’s easy to point fingers at others and as you say necessary to deal with the massive fraud but lots of good(?) people won’t take responsibility or even admit their culpability in this barbarous western system . In fairness, it’s easy to tell people lies if it’s what they want to hear . If greed and bitterness are drivers of this systemic change then we’d be no better than those who are driving the Titanic and it is probable we won’t get a much better result. I’m looking on in horror at a car crash for 15-20 years now and it’s heartening to see some movement but the financial thing pales in comparison to the real elephants in the room; living on the backs of others, and environmental collapse !